The Planning Scheme Area of the KTN NDA is about 447 ha and will accommodate a total population of 119,600 and provide 33,300 job opportunities upon full development. The distribution of new housing units in the KTN NDA is around 66:34 in public and private housing developments. 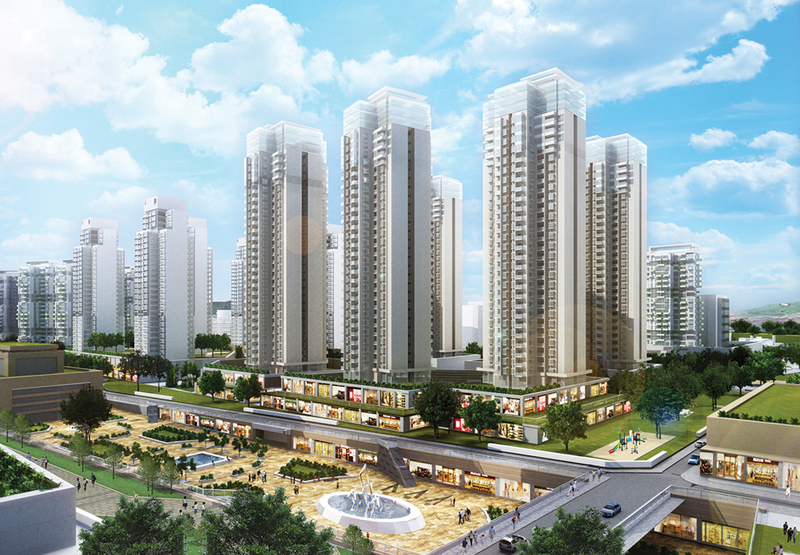 Capitalising on its strategic location in proximity to the railway link, highways and the existing Boundary Control Points, and respecting the rich natural and ecological resources within the area, the KTN NDA is proposed to be developed as a ‘Mixed Development Node’ with a mix of residential, commercial, research and development (R&D) and agricultural uses as well as retail and services, community and government facilities and land for natural and ecological conservation. A future town centre accommodating a mix of residential use, retail, leisure and social and community facilities is planned around the proposed Kwu Tung railway station and public transport interchange (PTI) in the central part of the KTN NDA to serve as a major activity node. 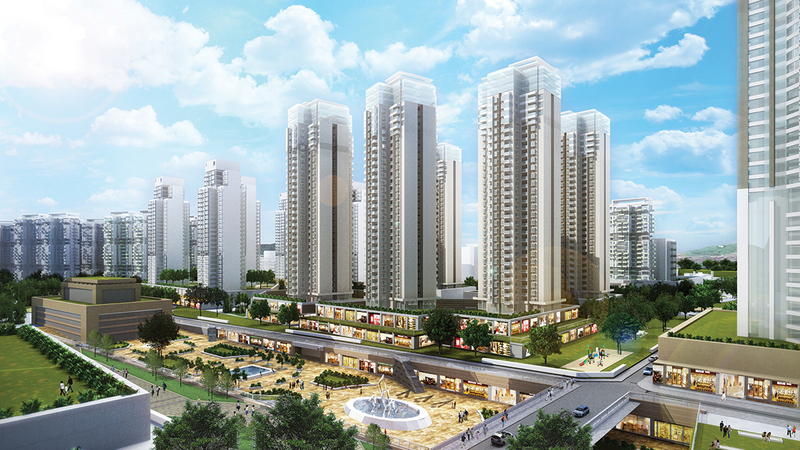 To emphasize the function of the Town Centre, a Town Plaza for pedestrians will be developed. There should be good design integration between the proposed railway station, the shopping streets on both sides of the Town Plaza and the residential/commercial developments around the proposed station. The Business and Technology Park at the south-eastern part, with emphasis on commercial and R&D uses, constitutes an important economic and employment node for the KTN NDA. 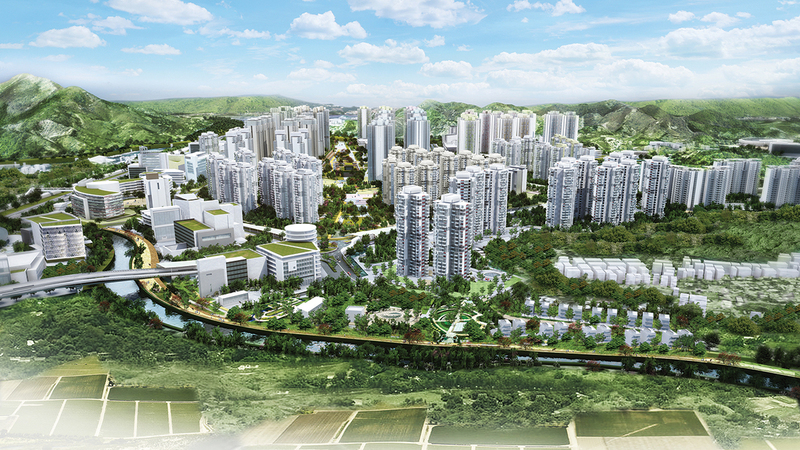 The Recreational Area, comprising Fung Kong Shan Park, a swimming pool, a sports centre and a sports ground/ sports complex in the north-eastern portion of the NDA, is another focal point to create a recreational hub for the future residents. 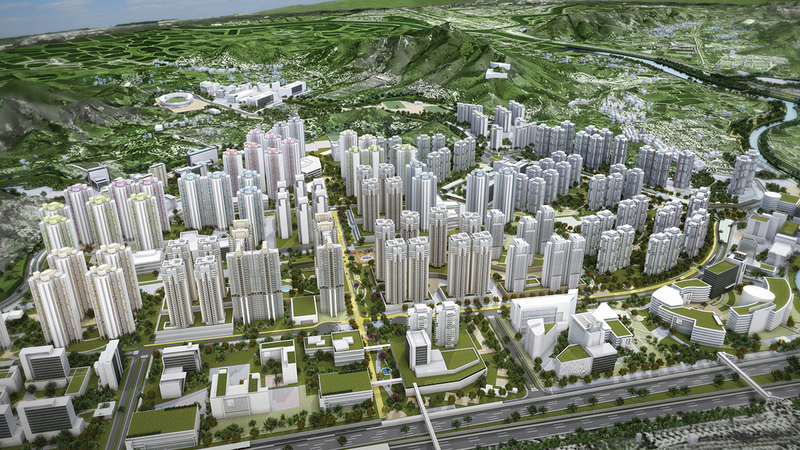 The north-south and east-west running open spaces across the Town Centre serve as major pedestrian spines connecting to the existing communities in Kwu Tung South to the south and Ho Sheung Heung and Yin Kong in the eastern portion of the KTN NDA. A comprehensive cycle track network is also planned with linkages to the major activity nodes in the KTN NDA as well as to the existing cycle track network in the Fanling/ Sheung Shui area and the proposed cycle track network in the FLN NDA to provide convenient connections for the local communities. The KTN NDA has a comprehensive network of recreation and green spaces comprising regional, district and local open spaces. The ecologically important Long Valley area (about 37 ha) is planned as “Long Valley Nature Park” (LVNP) which will be a “green lung” contributing to a quality living environment for the NDAs. Apart from the LVNP, which showcases the harmonious blending of farming activities with nature conservation, about 45 ha of land to the north and south of the LVNP is also retained for agricultural uses. Other urban design elements, e.g. stepped building height and view corridors and breezeways, have been adopted for the NDA developments.